In 2013, the impressive display of crochet bunting at Yarndale wowed visitors and caused a great deal of admiration and excitement. The bunting will be hung once again this year but will be playing second fiddle to a new creative Star of the Show…..the Mandalas!! One of the Yarndale team members is author of the popular crochet blog Attic24, and it was Lucy who co-ordinated the bunting project for Yarndale in 2013. This year, she invited her blog readers to make and send her an 8 inch decorative crochet circle, known as a crochet Mandala. These are modern re-makes of crochet doilies that were once very popular decorative household items. Crochet mandalas don’t really have any uses other than to look pretty, and they do that job exceptionally well! Each mandala is a stunning little work of art, using rings of colour and pattern to great effect. 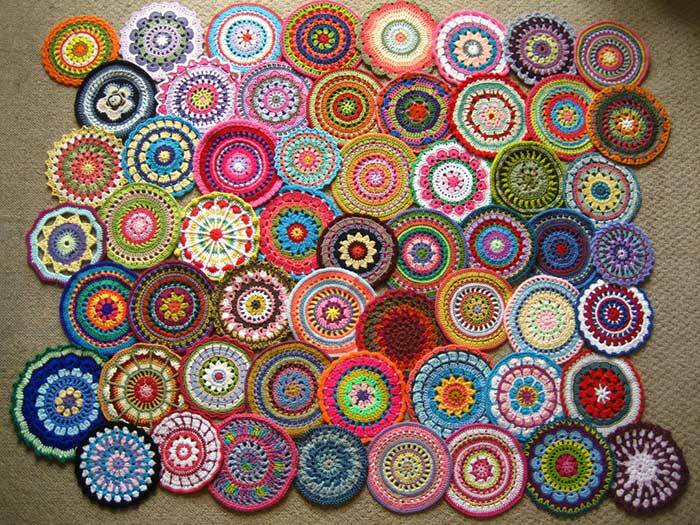 But when so many are displayed all together, they become something truly incredible and very much more than just a collection of crochet circles. 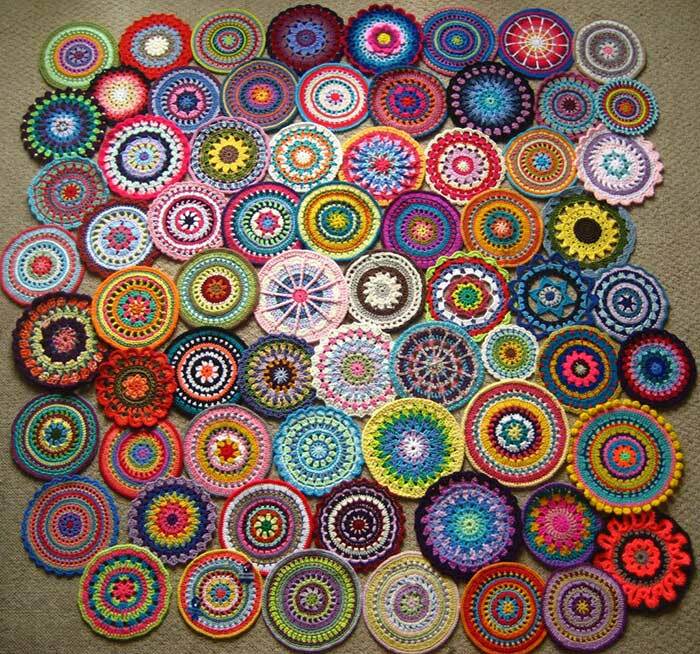 The magnificent mandala display at Yarndale this year will feature crochet circles made and sent to Yorkshire by people from all over the world. Forty eight different countries will be represented in the display, with more than a thousand contributors. 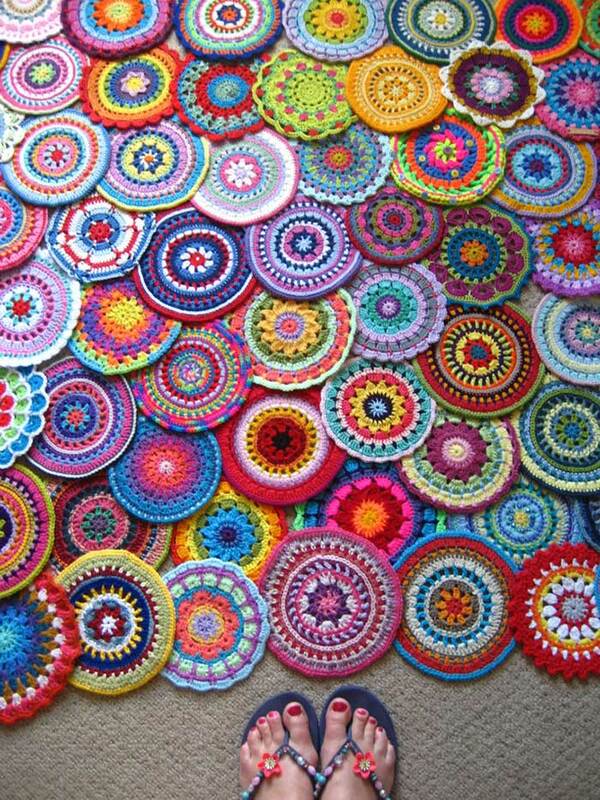 It promises to be a stunning visual display of creativity and colour, symbolising a world wide love of crochet. We can’t wait to share the mandalas with our visitors, prepare to be amazed! 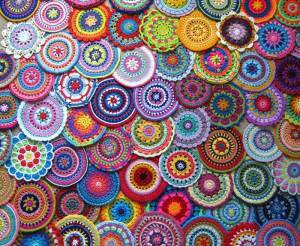 ps All the Yarndale mandalas can be found on our Pinterest boards, do go and take a look…….